SINGAPORE (March 9): Investors in Hong Kong may soon be required to reveal who they are. That's great news for market transparency and may help combat all kinds of misbehavior, from insider trading to flash crashes. It could also prompt an exodus as wealthy people who'd rather not disclose what exactly they are buying find more private quarters. That means more trading in other exchanges across Asia, with Singapore potentially one of the biggest beneficiaries. As of February, 123 of the 772 companies listed on the Singapore exchange were Chinese, and more could easily go there. It also has one of the most interconnected bourses in the world, allowing easy trading of shares, exchange-traded funds and options from the U.S. to Australia and even, yes, Hong Kong. If such an exodus does occur, it also may mean that more Chinese companies will seek to sell shares in Singapore. That would be a boon for the exchange, and would mean more work for the Monetary Authority of Singapore, which has been at odds with some China-based corporations over their accounting practices. 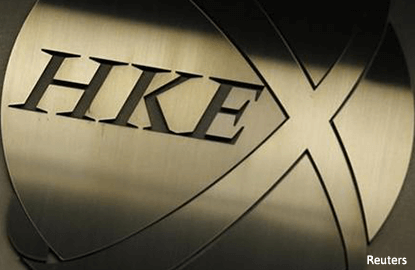 Sure, some serious investors will cheer the additional transparency and be more likely to trade in Hong Kong, but that won't reduce the pressure on the Securities and Futures Commission to drop the idea. Brokers, for one, have already started to complain. It's hard to say the move is a bad thing. There's a wide body of academic research showing that increased transparency tends to reduce transaction costs for investors. It also, over time, increases liquidity — two hugely positive aspects. The caveat is that these studies focused on the disclosure simply of prices at which securities were traded. Revealing client identity, even if only to the regulator, is somewhat uncharted territory. Hong Kong is not breaking new ground. China, South Korea and Malaysia already use some form of investor identification — though that didn't stop the Shanghai market from crashing last year. One of the arguments in favor is the fact that many clients in Hong Kong already have to disclose their identities in the mainland. The trouble will be those who don't want to be identified, especially in China. Safety from the prying eyes of government has long made Hong Kong's asset markets an attractive haven for mainland investors. This measure will diminish that appeal. That's not to say that anything illegal is happening. Wealthy people everywhere like to guard their privacy, and Hong Kong regulators investigating wrongdoing can always obtain client identities from brokers .